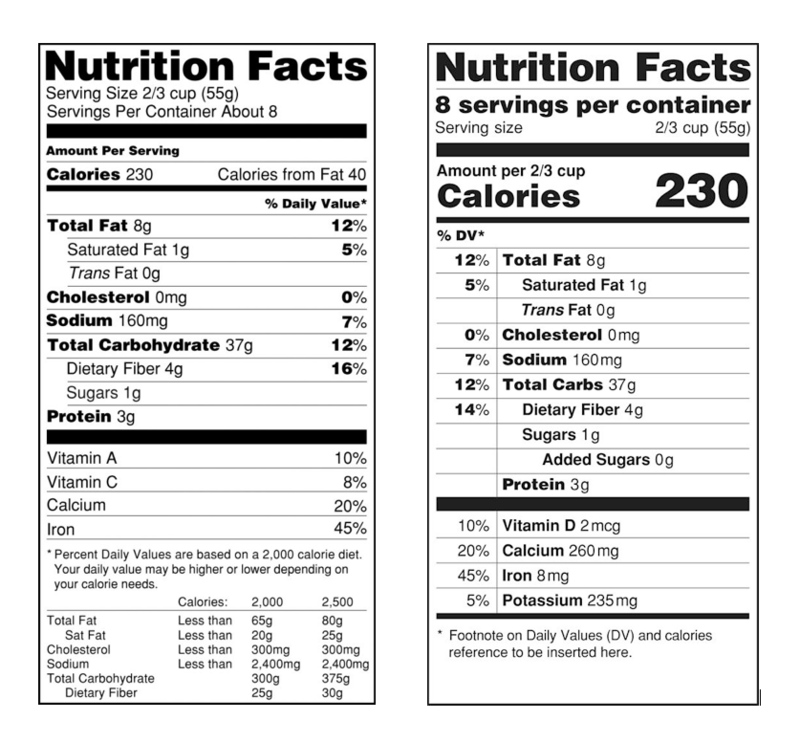 In May 2016, the Food and Drug Administration (FDA) introduced new labels that will have to be printed on most packaged food products by July 2018. In a presentation at the White House, Michelle Obama praised the label as making “a real difference in providing families across the country the information they need to make healthy choices.” As food scholars have discussed, both transparency and choice are important ideals and ambivalent concepts in the realm of food and eating. Today, I want to add some remarks on the history and politics of another category on which a lot of today’s food talk is based: on calories. However, the idea that a number on foods expresses some truth-to-be-revealed is not very old; neither is the ideal of responsible consumers choosing wisely and budgeting their food intake according to their bodily needs. In fact, both understandings emerged simultaneously and they were and are mutually dependent. It is important to consider the context of these early caloric experiments. In the 19th century, sciences like physiology and nutritional science were created – disciplines that focused on the human body. In times of advancing industrialism, migration and urbanization, Americans turned to scientific expertise and new methods of measuring and classifying efforts and things in order to understand and improve bodies and society. For some people, calories and their call to properly count came in due time. Since the 1880s, Atwater had also been coordinating a broad series of dietary studies all over the US. Surveyors weighed all the food their test subjects were eating and measured its caloric value as well as its content in terms of protein, carbohydrates, and fats. In a study of working class families in NYC, the researchers related the calories of foods to the price paid for them: They asked: How many calories could one buy for 25 cents? Which foodstuff came with the best ratio of fuel value and costs? Thereby, calories fueled a heated debate on poverty and hunger, which was part of an upsurge of labor conflict. With the help of the calorie and by being able to compare different foodstuffs, reformers found that the solution to the problem of hunger was not to raise wages but to choose foodstuffs more carefully. Atwater suggested that workers should substitute expensive cuts of meat with cheap ones – or green veggies with oatmeal. Thereby, they should meet their caloric needs in a much cheaper way, and thus keep within their budgets. Here, calorie contributed to cap wages. However, the calorie proved not only powerful in regard to the politics of poverty. It also prompted individuals to work on themselves. By suggesting a calculable and, thus, manageable relation between food and body weight and shape, the calorie suggested that individuals could and should manage their food intake properly. In the early 20th century, this alleged calculability of body weight contributed to associating fatness with self-indulgence and failure. When the calorie permitted a proper accounting of one’s diet and people were and remained fat, it seemed that they themselves were to blame. The author of one of the first calorie-based diet manuals, Lulu Hunt Peters, described fatness as a “disgrace” because, in her view, people could know and do better. She even asked her readers to alert people on the streets they considered too fat, and to tell them about calorie counting. In the early 20th century, the new knowledge about calories facilitated a new form of self-conduct. At the same time it made this self-conduct seem appropriate and necessary and helped to create the ideal of self-responsible consumers caring about their own body and health. When the New York Times was somewhat relieved about the comparatively low calorie count of Hillary Clinton’s Chipotle choice on her campaign trail in Ohio, it was about more than just her individual health and weight (the latter having been discussed earlier). On trial was her ability to conduct herself properly. Especially by comparing Clinton’s choice to that of the “average American,” the New York Times presented Clinton as a responsible consumer. What calories do is creating and maintaining norms of bodies and selves – norms that contribute to the creation and affirmation of social hierarchies and travel through the seemingly objective numbers on nutrition labels. Nina Mackert is Assistant Professor of North American History at Erfurt University and part of the joint research project “Nutrition, Health, and Modern Society: Germany and the US.” In 2012, she received her PhD at Erfurt University with a book on the post-World War II delinquency scare in the USA (published with UVK in 2014). Her research focuses on US cultural history, especially the history of food, fat, bodies, dis/ability and youth. Currently, she is working on a book about the career of the calorie in late 19th and early 20th century US. Her most recent publications include a paper on the US Fat Men’s Clubs and ambivalences of fat discourse around 1900 (in Body Politics 3/2014) as well as “Making Food Matter: ‘Scientific Eating’ and the Struggle for Healthy Selves,“ Food, Power, and Agency, ed. by Jürgen Martschukat and Bryant Simon, 105-128, New York: Bloomsbury, 2017. Together with Jürgen Martschukat, she is the editor of “Fat Agency,” a theme issue of Body Politics (5/2016). With Stefanie Büttner and Jürgen Martschukat, she is editing the blog foodfatnessfitness.com. This post is part of a blog exchange in collaboration with Food, Fatness and Fitness: Critical Perspectives. It is republished here with permission of the author. The original post can be viewed here. The exchange post by our editor Lisa Haushofer can be viewed here.